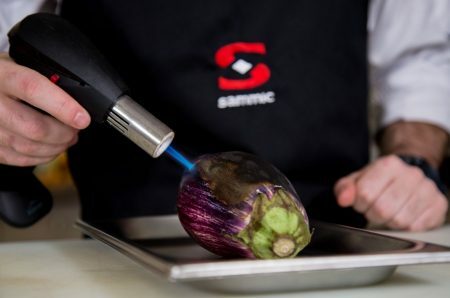 First, burn the aubergines with a blowtorch. Then, peel them, season them with salt and pepper and vacuum pack them. 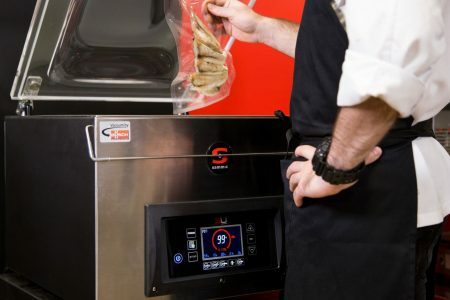 Finally, cook everything in the SmartVide for one hour at 80ºC. 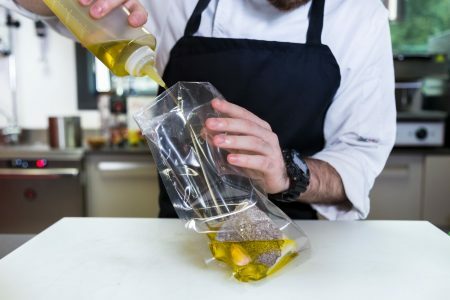 Thanks to this technique, we will obtain a smoked taste and smell which is stronger and more intense from the aubergine. 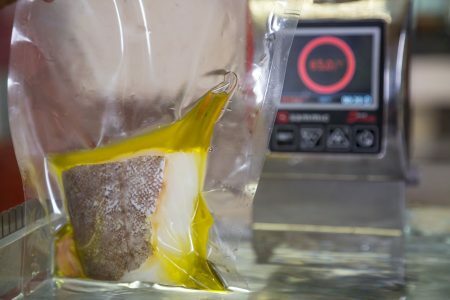 Pack all of the ingredients together and cook them at 65 ºC for 20 minutes. Once the time has passed, take out the slices and put them to one side. 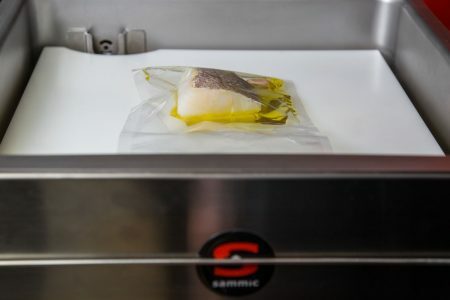 Cooked this way, we ensure that the cod is optimally cooked. Mix the aubergine with tomato concassé, strips of roasted piquillo pepper and a dash of olive oil. 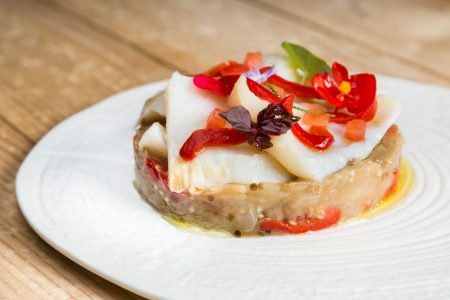 Put everything into a ring and put the slices of cod on top, finishing with diced tomatoes, piquillo peppers and a dash of oil. 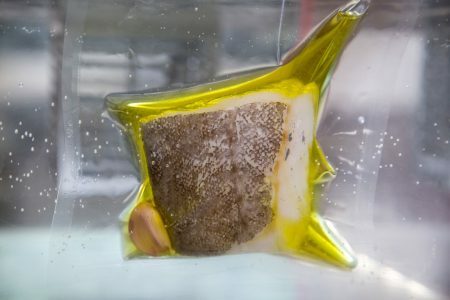 Can I defrost and cook in the same bag?